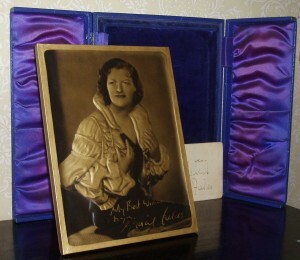 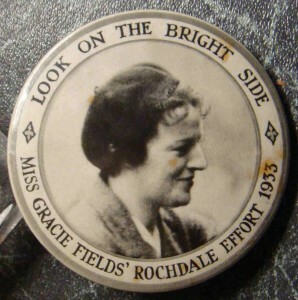 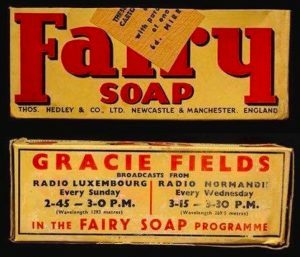 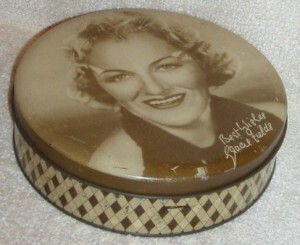 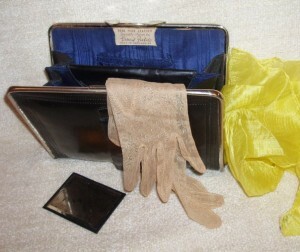 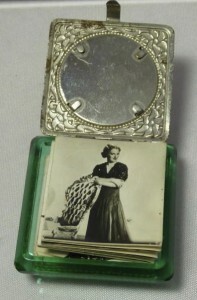 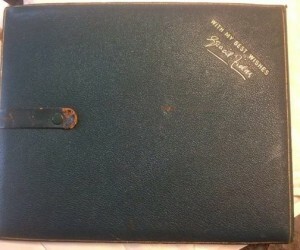 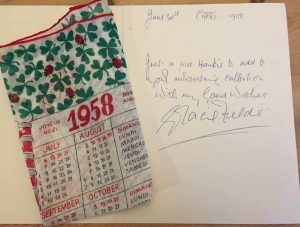 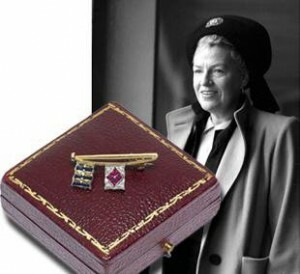 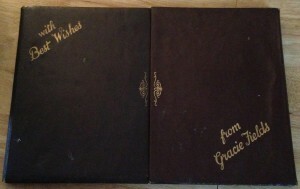 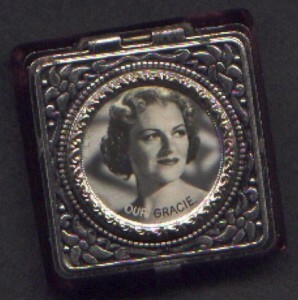 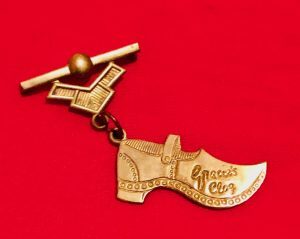 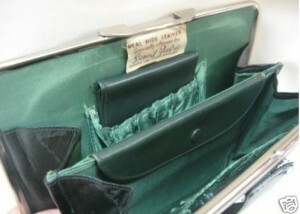 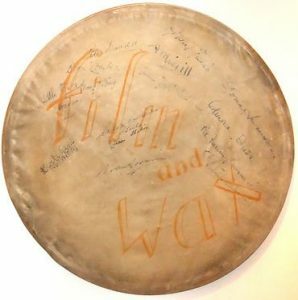 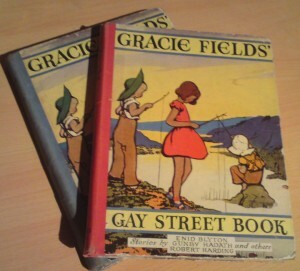 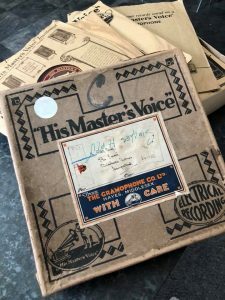 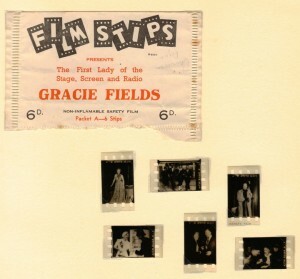 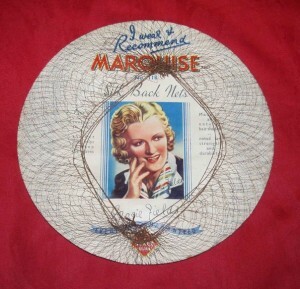 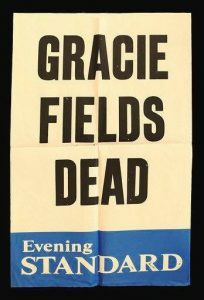 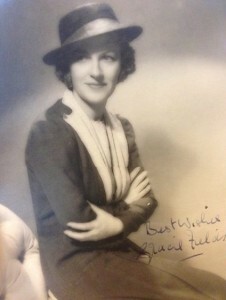 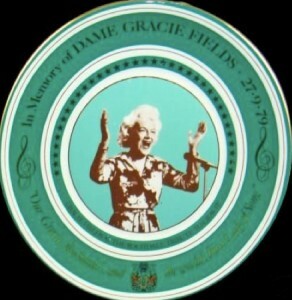 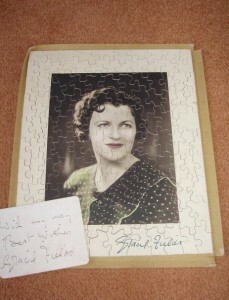 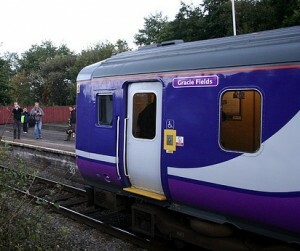 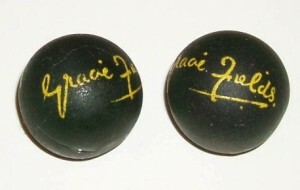 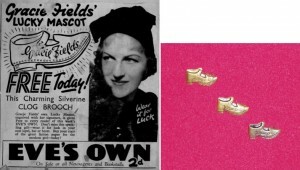 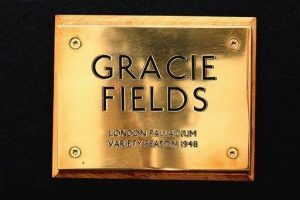 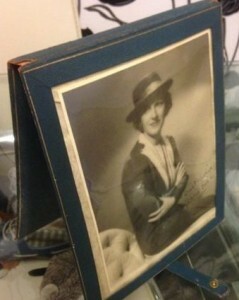 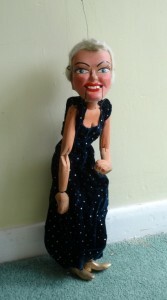 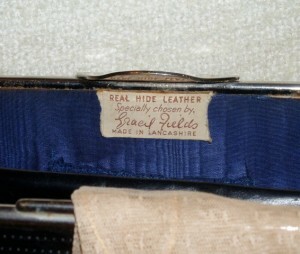 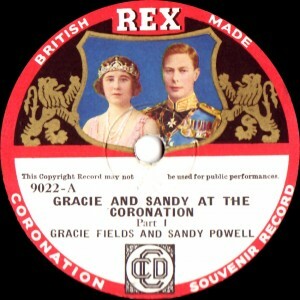 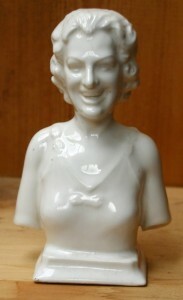 Gracie Fields merchandise and memorabilia, that members are lucky enough to have in their collections. 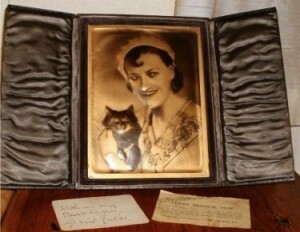 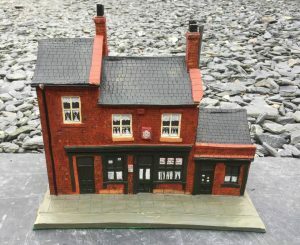 If you have anything you would like to add to the online ‘Museum’ please send along a photo and I’ll pop it in one of the cases. 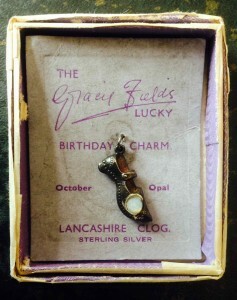 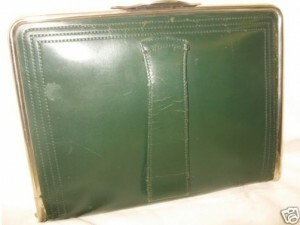 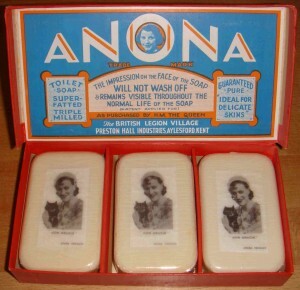 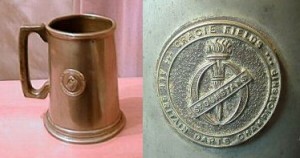 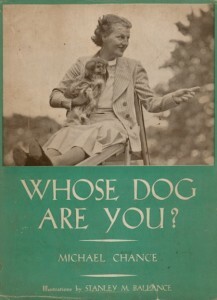 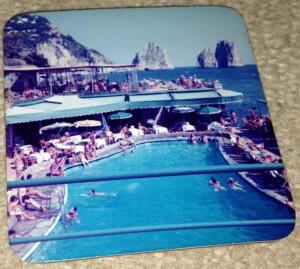 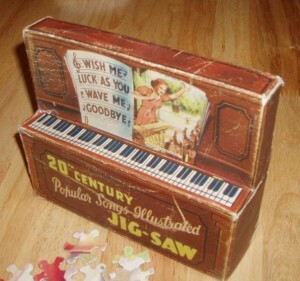 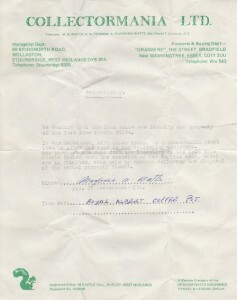 An unusual piece of memorabilia. 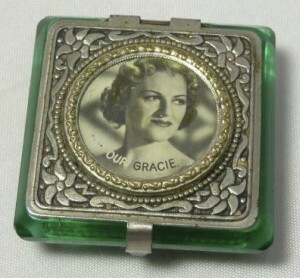 Picture frame given by Gracie. 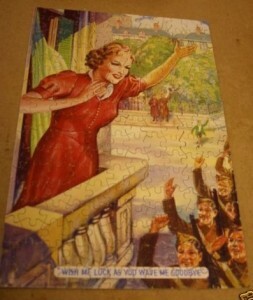 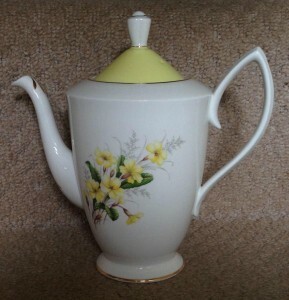 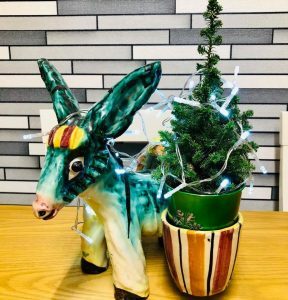 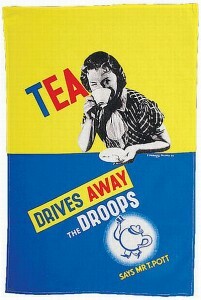 Have to admit, this isn’t really in our collection ! 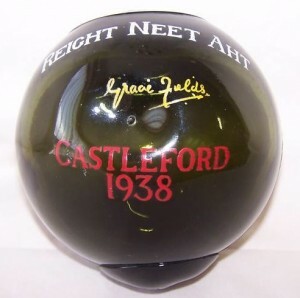 Darts match prize at St Dunstans blind school !